Click here for Studio2Go PORTABLE Brochure! 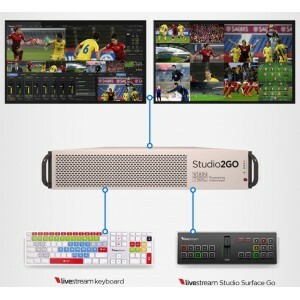 Portable VANTeC all-in-one live production switcher:- Up to 10 remote signals;- Livestream software;- RTMP server;- Special keyboard;- System SSD and m..
Click here for Studio2Go Brochure! 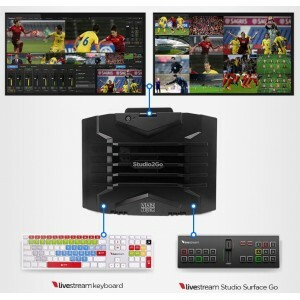 Portable VANTeC all-in-one live production switcher:- For NDI or Ethernet cameras;- Livestream software;- RTMP server;- Special keyboard;- System SSD and media ..
Click here for Studio2Go Brochure! Portable VANTeC all-in-one live production switcher:- Up to 10 remote signals;- Livestream software;- RTMP server;- Special keyboard;- System SSD and media HDD;..
Click here for Studio2Go Brochure! Portable VANTeC all-in-one live production switcher:- Up to 10 remote signals;- Livestream software;- RTMP server;- Special keyboard;- System SSD and media HDD;Stud..
Click here for Studio2Go Brochure! Portable VANTeC all-in-one live production switcher: - Extreme powefull server;- Up to 10 remote signals;- Livestream software;- RTMP server;- Special keyb..
Click here for Studio2Go Brochure! Portable VANTeC all-in-one live production switcher: - Extreme powefull server;- Up to 10 remote signals;- Livestream software;- RTMP server;- Special keyboard;- S..